At EMI, our people are one of our strongest assets. Over the course of this year, we will be highlighting all of our team members. We continue this week with a question and answer session with Assistant Director of Client Services, Dalton Clifford. Continue reading to learn more about Dalton! What do you do here at EMI? I work with a wonderful team of sample experts, insights, and project managers to deliver quality sample solutions and better data to our clients. What led you to EMI? I interned at EMI between my junior and senior year of college where I learned more about the sample landscape than I imagined possible. I earned a double major in Accounting and Finance at the University of Alabama. 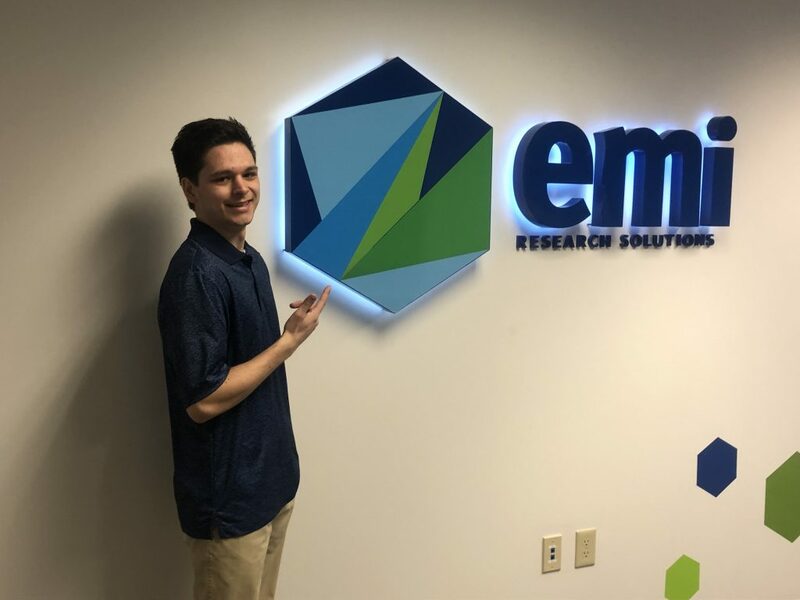 Being native to the Cincinnati area, I returned to work full time on EMI’s account management team upon graduation. What is your favorite thing about EMI? The people by far. We’re a fun bunch and basically one big family. We know each other well and enjoy our day in an open atmosphere filled with music. When you aren’t at work, you are…? Likely somewhere with live music, seeing a movie, or just out and about with friends and family. At home, we hang by the pool and play plenty of cards and board games. You play DJ a lot at the office, what is your favorite music band/genre/artist? I love just about anything, but my top is Moon Taxi. I’ve seen them in concert 7 times. Along the same line, what are the last 3 songs you’ve listened to? Alabama Crimson Tide!! Roll Tide! I really love just being around live music or going to events with a big group of friends or family. Aside from that cards, board games, working out and occasionally reading. Staying in a handful of bungalows on a remote beach with a group of friends, with plenty of spike ball, beach volleyball, music, cards games, and relaxing around a fire on the beach at night. And finally, which of the core values of EMI do you most relate to?